As summer gets into full swing, it’s easy for kids to start to say, “I’m bored” and parents to start to wonder what to do day after day. Luckily, it’s a lot easier than you think to make summer with kids a breeze! All it takes is some simple steps and resources for fun and ideas–and you are set! 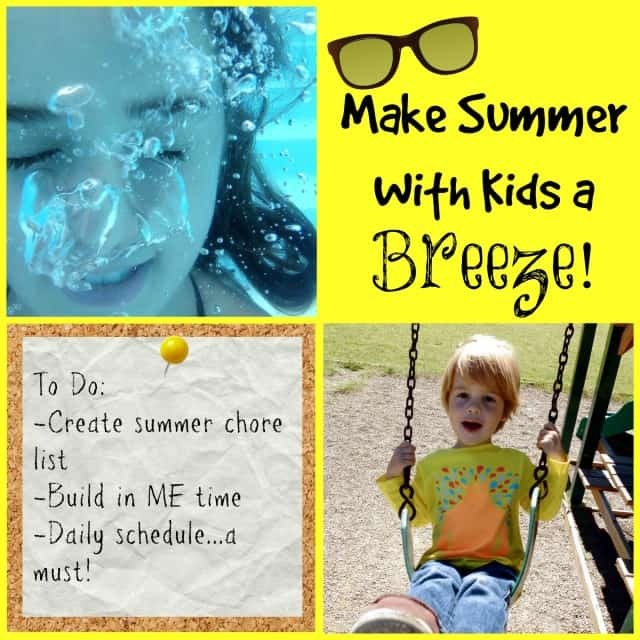 Make Summer With Kids a Breeze! will cover three things to make summer with kids more enjoyable for the whole family: daily schedule/routine, chores and summer fun/learning activities! One of the reasons the school year seems to flow more smoothly (even if it is hurried or busier!) is because it’s consistent. Everyone knows what to expect every day, is getting up at the same time daily and has the same bedtime. Just because it’s summertime doesn’t mean you should throw all of that out the window! Sure, you can be more lax or adjust your daily schedule to meet your family’s needs, but children (and many adults) thrive on consistency and routine. Make sure to leave time for YOU, down time, time for free play and time for reading! 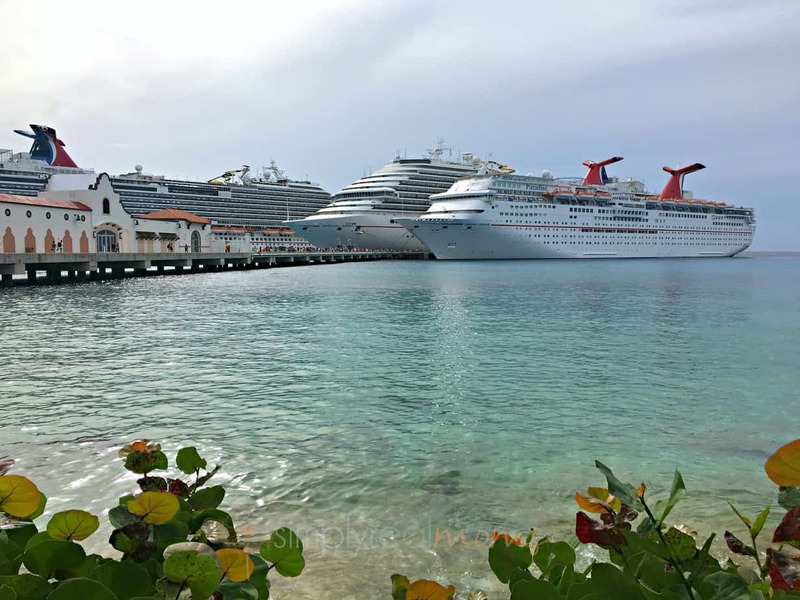 Our evening activities always vary, even in the summer, with dance, tumbling, soccer, swimming, etc… Bedtime during the school year is about an hour earlier than it is in the summer, but there is still bedtime and nap/quiet time in the summer. 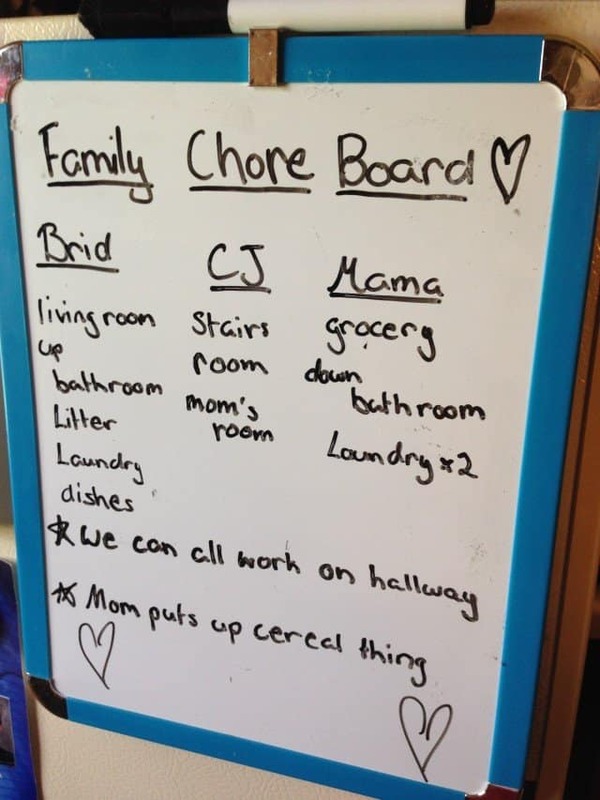 Our house was becoming a disaster area , so we came up with a family chore chart. In addition to daily clean up expectations, we dedicated Sunday as our family cleaning day. My teenager took responsibility for her own laundry and created our chore chart and my three year old even has chores now! We have all kinds of great fun, free summer activities to do for fun and some great, easy to do, educational activities gathered for you! Splish! Splash! 10+ Water Fun Activities!